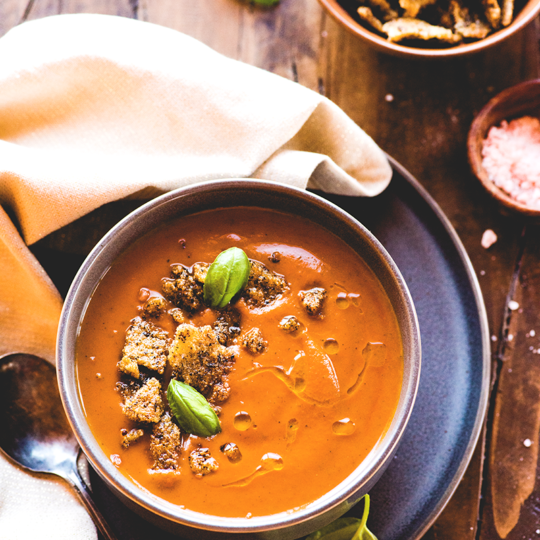 Today I’m sharing a recipe with you guys that comes straight from the pages of The Paleo Cupboard Cookbook, written by the super talented Amy Densmore who is the brains and beauty behind Paleo Cupboard. Here’s the deal: I adore Amy and her vibrant approach in the kitchen. She’s funny enough to make me nearly snort my brains out of my nose and is a total boss when it comes to putting real life Paleo meals on the table that the entire family will love. When they’re not fighting with each other over who gets to have a second serving, obviously. This recipe for Cilantro Lime Shrimp with Avocado Puree from The Paleo Cupboard Cookbook perfectly showcases Amy’s simple, flavor-packed style of cooking and I’m sure you guys will love it! Tangy, super-seasoned shrimp meet a creamy dipping sauce that make a speedy weeknight-friendly meal or an elegantly easy appetizer. Unlike some stuffy cookbooks, Amy’s writing makes you feel like you’re hanging out with her in the kitchen as she both guides you through making delicious things and regales you with hilarious tales of her travels and food discoveries. Anybody who can legitimately use both the words “bum” and “underpants” in a cookbook is a legend, as far as I’m concerned. The Paleo Cupboard Cookbook is available for pre order before its release on November 17th. Preordering means you’re guaranteed to pay the lowest price possible, so it’s well worth doing! If you DO pre order a copy, make sure to head on over to Amy’s site and enter your details to receive a free ebook as a “thank you”! 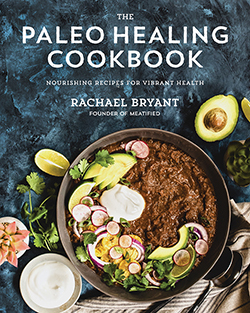 If you hop on over to Paleo Cupboard and enter before 11:59 pm PST on November 8th, 2015, you have a chance to win this awesome book release celebration bundle of some of Amy’s favorite kitchen goodies. So hop to it! And don’t forget to check out the recipe below for Cilantro Lime Shrimp with Avocado Puree before you go. These cilantro lime shrimp are so tasty that they flew off the plate the first time I served them. The avocado puree makes a nice dip when these shrimp are served as an appetizer, or you can make them without the dip for a main course. Make the avocado puree: Place the avocados, coconut cream, lime juice, salt, and pepper in a blender or food processor and puree for 20 seconds, or until smooth. Place in the refrigerator until ready to use. Combine the cilantro, cumin, garlic powder, salt, pepper, and olive oil in a medium-sized mixing bowl. Add the shrimp and toss to coat, then cover and allow the shrimp to marinate for 10 minutes in the refrigerator. While the shrimp marinates, soak 6 bamboo skewers in water and preheat the grill to medium-high heat. Thread the shrimp onto the skewers and drizzle with the lime juice. Grill for 3 minutes on each side, or until the shrimp is cooked through. Serve the shrimp on a platter with the avocado puree on the side for dipping.